Equestria Gaming: EXCLUSIVE:Information about MLP:RiM Season Two Edition! Playable Dragons! That's right, dragons are now a race in MLP:RiG, with two types: winged and flightless. Apparently dragons have different character options then ponies, and have their own special mechanics for handeling the unique challenges and strengths of being a dragon in Equestria. Much, Much More Content! The season two rulebook is larger and more comprehensive then the original rulebook. The main feedback they received from players was that the season one rulebook felt more like a 'barebones system' (as one player put it) --and they were right, the rulebook was rushed somewhat to get it out before the release of season two, and it wasn't nearly as polished as it could have been. So, for Season Two they have completely re-written and expanded on the system. Season Two is currently slated to be close to the length of an average pen and paper RPG rulebook, with the (still WIP) manuscript currently four times larger then the entire Season One rulebook, and going into far more detail then the original. 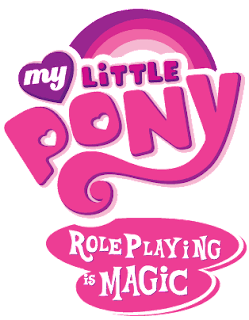 "Some of the changes you'll find include new mechanics such as Energy/Courage/Fortitude--a reworked 'hit point' type system which focuses more on all aspects of becoming discouraged or damaged, an expanded spellcasting system for greater flexibility, power, and customization for Unicorn Ponies, cool new expanded flight- and weather-based abilities for Pegasus Ponies, a robust experience reward system for Earth Ponies, new mechanics for utilizing Special Purposes and Talents, new ways to use--and risk--Willpower to push your character to new heights, two types of Dragons as playable races with their own unique abilities and dangerous weaknesses, and last--but certainly not least--a fully realized system for acquiring and spending experience points to advance your character across multiple Episodes." Whew, that was A LOT. Hope you enjoyed it! Also, these aren't even ALL the changes, there are still many that are unannounced and/or are still being developed. Still, it's far more then I expected, and I'm sure that when it comes out MLP:RiM Season Two will be the greatest MLP pen and paper RPG ever released!